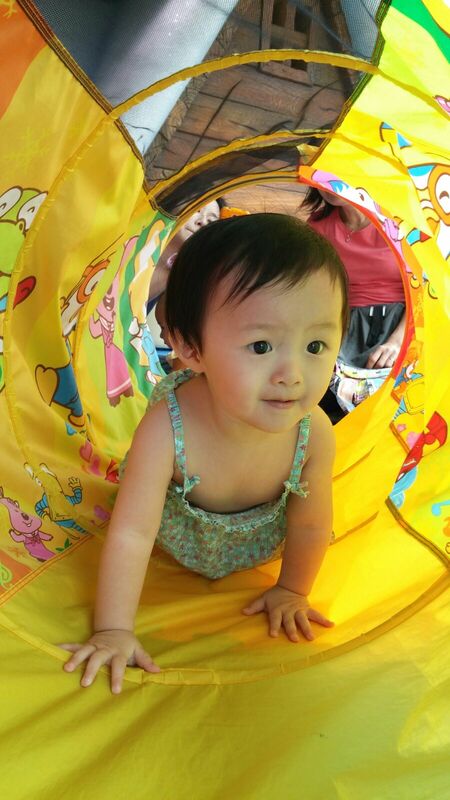 Today, Papa Long and I took leave to babysit Little Foot and her baby cousin baby K who is temporarily at our house on weekdays. Since baby K arrived, my aunt had been coming over to help look after her. 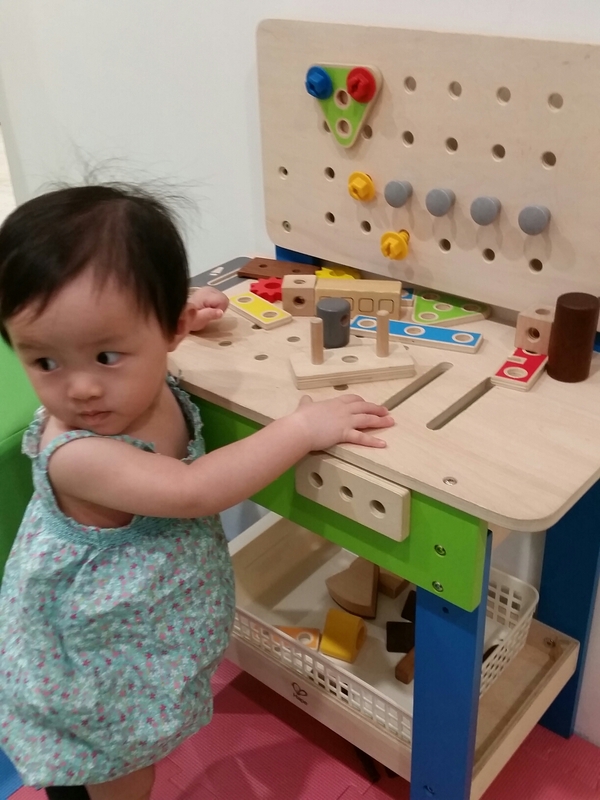 Today was to give her a break so she could catch up on her housework and rest a little. 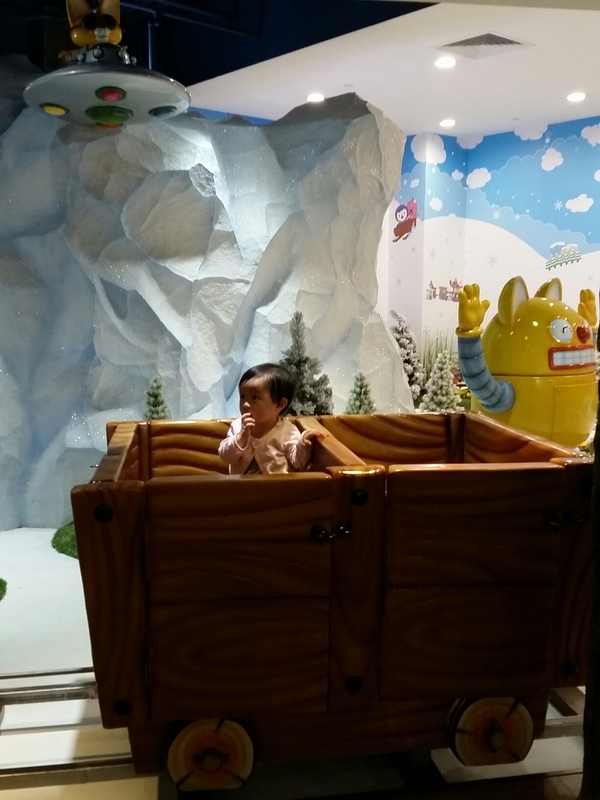 This is not going to be a review of Pororo Park, because others have already done a good job (you can check out bumblebeemum’s review). I just wanted to share that Little Foot had a lot of fun today. Do note that for babies, there isn’t much they can do there. 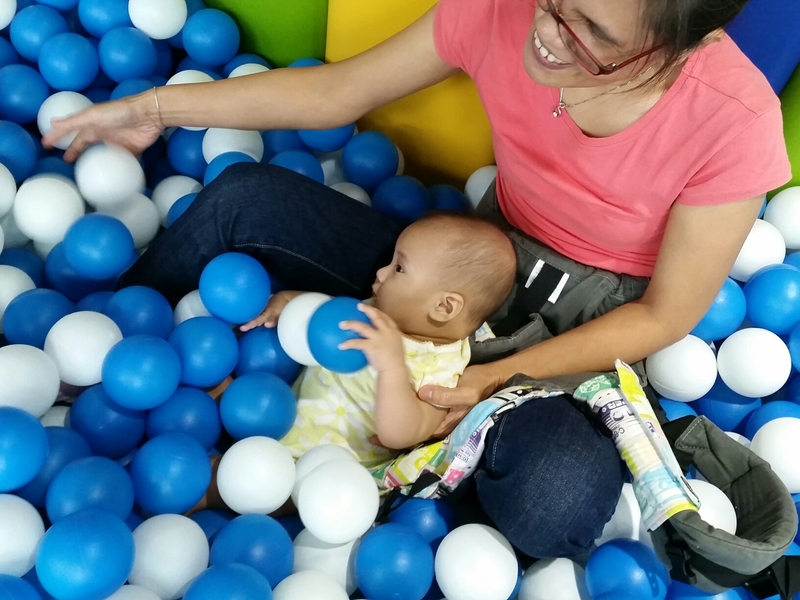 Baby K, at 6 mths young, was pretty much only able to play at the babies and toddlers zone… and she also bravely went to the Shark ball pool with Little Foot (with me watching like a hawk and trying to cordon off the spot they were playing in, shielding them from the big kids). 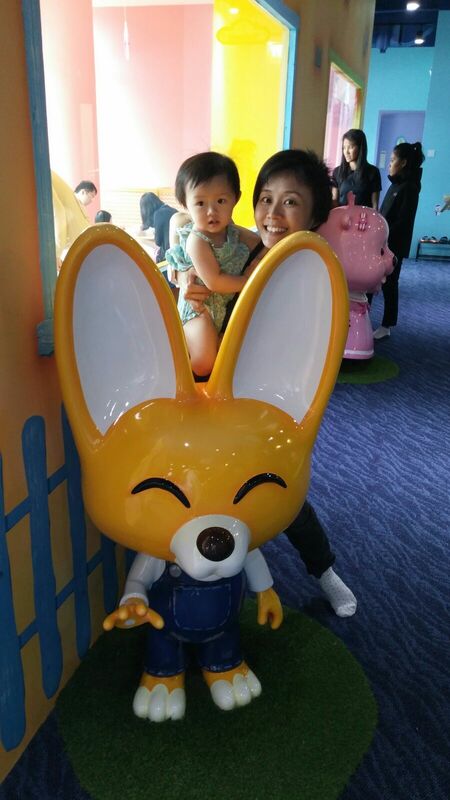 The above photos pretty much summed up what baby K did at the park (besides taking photos with all the Pororo stuff). 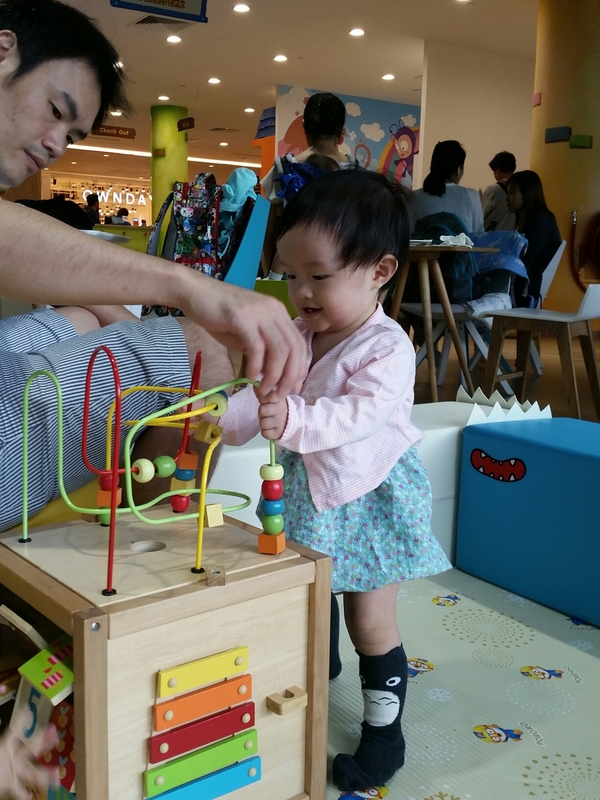 As for our Little Foot who hasn’t yet started walking, she attempted most of the stuff in the park except for the Jungle Gym and the activity room (where the older kids do some coloring or dunnowhat). 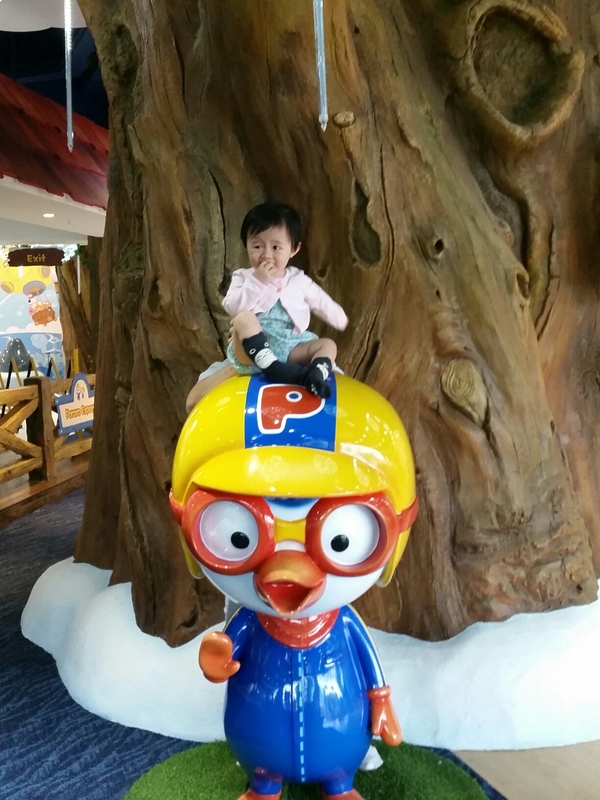 She even bravely rode the Pororo Express, which is the highlight of the park, although I must admit, I was super apprehensive about it, but decided to let her try because must get out money’s worth! And I tell you, when the train jerked and she got a shock, my heart nearly stopped beating! (And then I recovered speedily and started laughing at her reaction). Little Foot also amazed me by taking off steadily with this tricycle thing in the park. 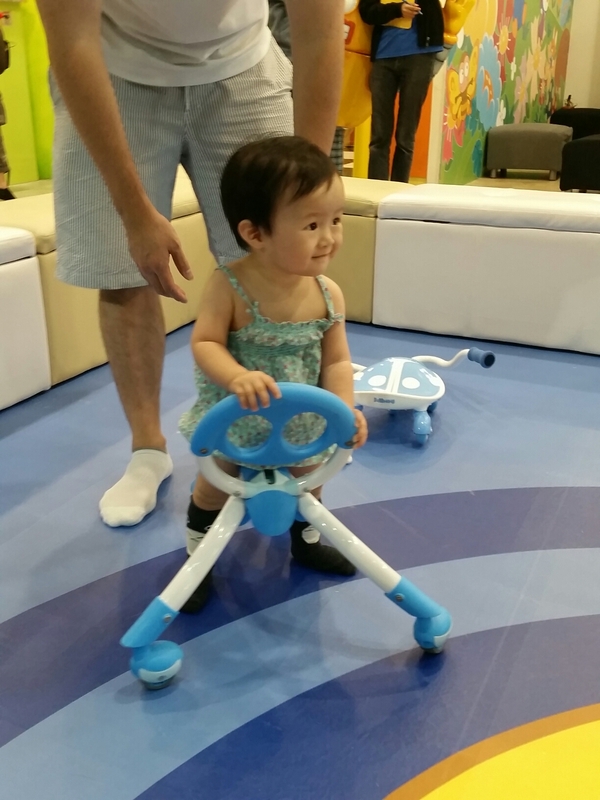 I mean, she can’t walk yet, but she used it quite skillfully! Took lots of pictures with the characters, and watched the musical. At first I thought the two hour limit per entry was rather short, but I was pretty much exhausted after 1 hour, since we had to assist the babies in everything. 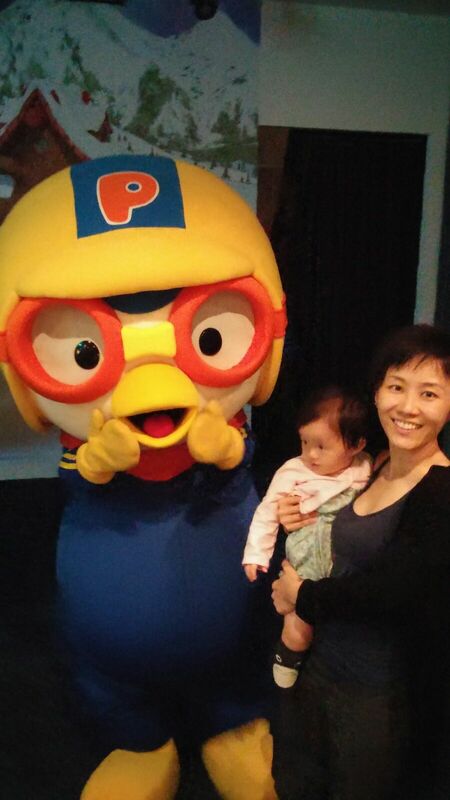 Mummy fulfilled her Pororo wish (I’m a closet fan), and we had a fun afternoon there. Worth it to go for experience and to take photos with the characters, may not be worth it to get annual pass, as I won’t see us going again until Little Foot is old enough to try the jungle gym. I do think the price list is a little steep if your kid is more than a year old (babies under 1 year old enters for free). 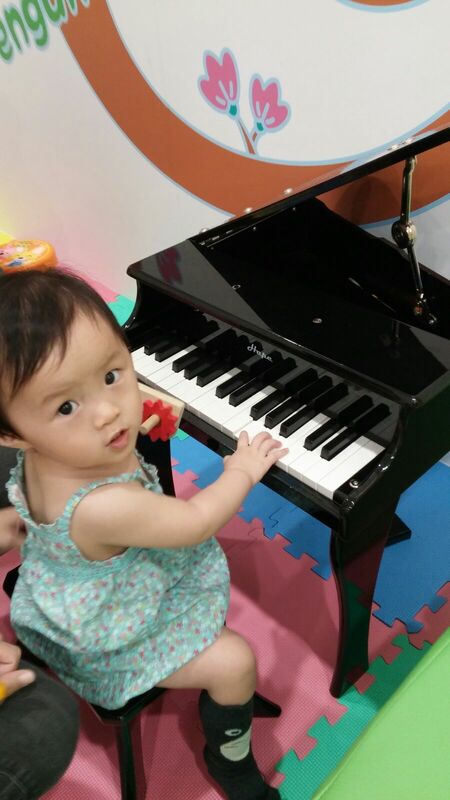 For babies and young toddlers, going on weekday is recommended. 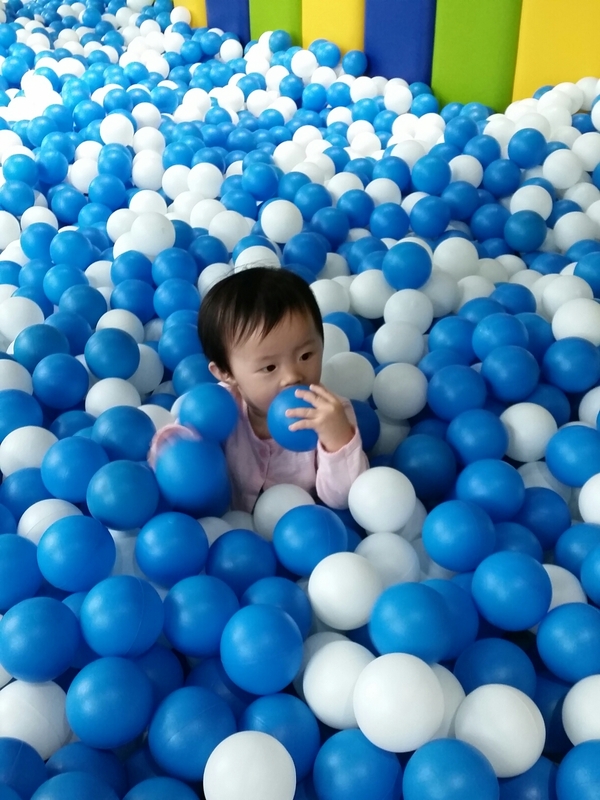 I heard many people telling me it’s crowded on weekends , so it can be a little scary for the babies if big kids dive into the ball pool, or ram them on the tricycles. 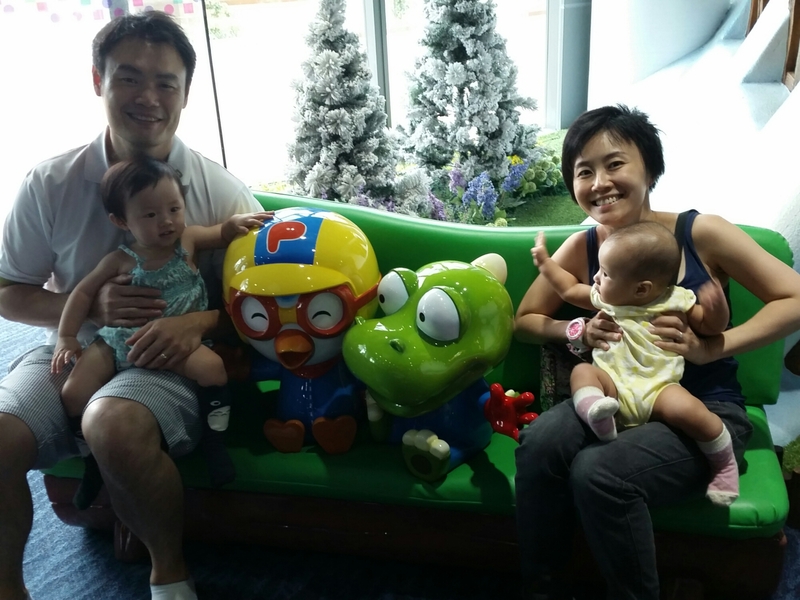 And I do hope they fix that jerking issue on the Pororo Express.